The Environmental Protection Agency (EPA) has proposed loosening regulations on methane leaks in the oil and gas industry. The new rules would save the industry hundreds of millions with only a marginal increase in greenhouse gas emissions and air pollutants. 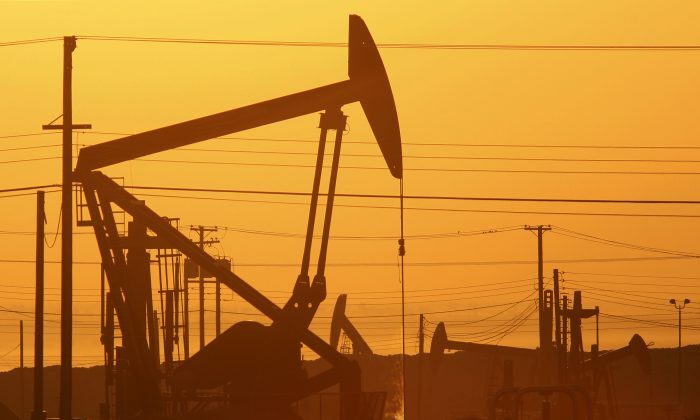 The change would give more breathing room to the hydraulic fracking industry, which has dominated the recent growth in the oil and gas sector. The proposed rule (pdf) would roll back some regulations of oil and gas wells, storage tanks, and processing plants by giving them more time to fix leaks (60 instead of 30 days) and more time between inspections (a year instead of half a year) among few other conveniences. The EPA expects the new rules would save the industry $484 million between 2019 and 2025. “These common-sense reforms will alleviate unnecessary and duplicative red tape and give the energy sector the regulatory certainty it needs to continue providing affordable and reliable energy to the American people,” said EPA Acting Administrator Andrew Wheeler in a Sept. 11 release. Savings for the industry would help boost domestic energy production, a priority for President Donald Trump, Wheeler said. In response to the new proposal, Clean Air Task Force, an environmental nonprofit, accused the EPA of attempting to “cozy up to the oil and gas industry” and “placing regulatory rollbacks above protecting the public from dangerous air pollution,” in a Sept. 11 release. The Obama administration introduced the more stringent rules in 2016, saying they would help meet the greenhouse gas reduction targets set by then-President Barack Obama. Methane is a greenhouse gas about 25 times more potent than carbon dioxide, according to the EPA. The industry pushed back, saying it’s been reducing methane emissions on its own and the rules could stifle innovation and discourage investment. Methane emissions from the natural gas and petroleum systems increased by some 5.3 percent between 2012 and 2016, following the boom in the fracking industry. But fracking also led to a switch from coal to natural gas. Factoring in the decrease in methane emissions from coal mining, the emissions went down by some 3.4 percent (pdf). The EPA estimates the relaxed rules would lead to the release of 380,000 tons of methane and 100,000 tons of volatile organic compounds (VOC) by 2025 that would otherwise be prevented by the more stringent regulations. 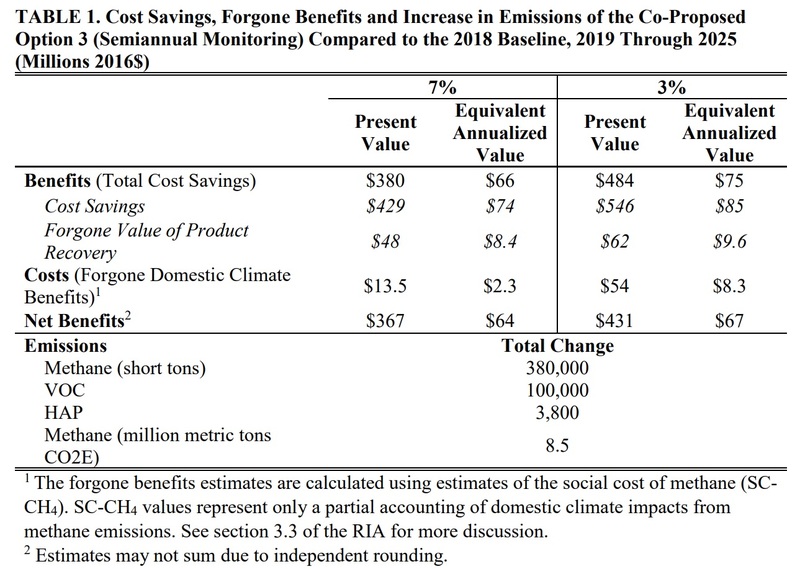 That would represent an increase of annual greenhouse gas emissions in the United States by about 0.02 percent and increase in VOC emissions by about 0.09 percent a year, based on data for 2016 and 2017. VOCs are naturally present in the environment, but some can be harmful. The United States has cut VOC emissions in half since 1970, including by nearly 8 percent between 2013 and 2017.